Catch Me (C) surged in the straight to beat $3.80 favourite Jedastar at Caulfield. Brilliant filly Catch Me has moved to equal favourite for next month’s $1.5 million Blue Diamond Stakes after returning to racing in style with victory in one of the traditional lead-up races at Caulfield. The Peter and Paul Snowden-trained Catch Me was an emphatic winner of the Gimcrack Stakes in Sydney on debut in September and she made it two wins from as many starts in Saturday’s Group Three Blue Diamond Preview (1000m) for fillies. After the win, Catch Me firmed from $8 to $4.50 equal favourite for the Group One Blue Diamond (1200m) alongside Brooklyn Hustle, who made a big impression on debut at The Valley in early December when she won her only start. The two fillies are set to clash in the Blue Diamond fillies Prelude in two weeks, two weeks before the Blue Diamond. Under star jockey Kerrin McEvoy, Catch Me ($4.20) was forced to race wide from a deep draw but she was up to the challenge and she kept surging in the straight to beat $3.80 favourite Jedastar by one length. Shih Tzou ($10) let down strongly on the outside in the straight in her first start to look a winning chance before finishing another half-head away third. 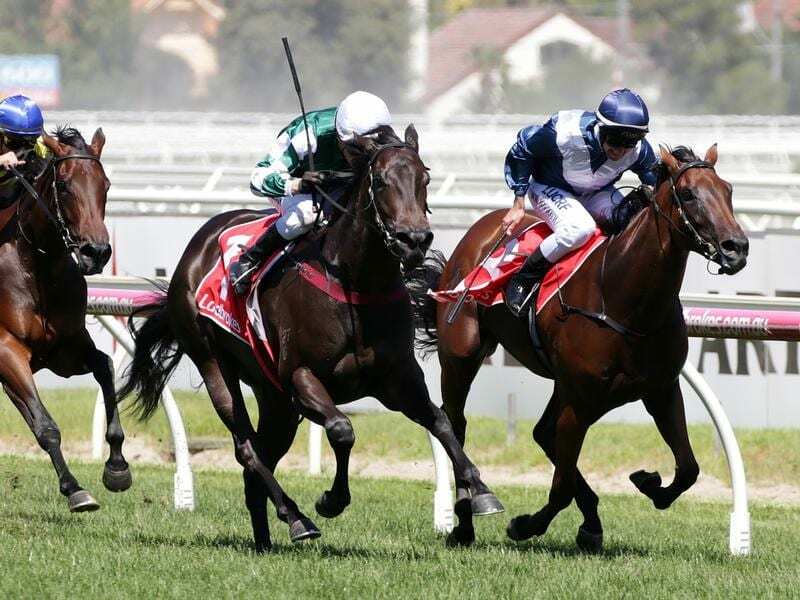 Catch Me’s winning time of 57.28 seconds for the 1000m was 0.09 seconds quicker than two-year-old colt I Am Immortal’s winning time in the Blue Diamond Preview for colts and geldings 35 minutes earlier. The Anthony Freedman-trained colt I Am Immortal firmed from $15 to $11 for the Blue Diamond after his win on debut while Shih Tzou has also tightened to $11. “She is well above average,” three-time Blue Diamond-winning trainer Peter Snowden said of Catch Me. “She had no favours in the run. She probably had the toughest run out of all of them and she pulled out plenty as horses with ability seem to do.